The 2015 Darien football team poses with Grace. 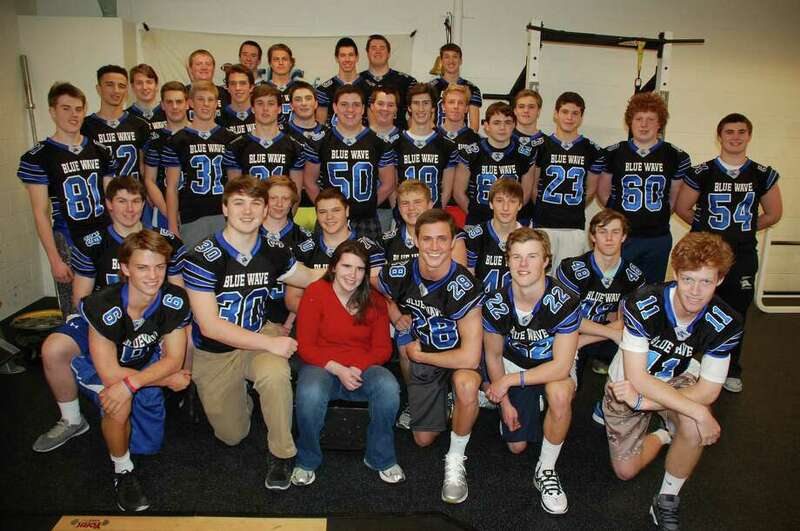 The Darien football team will square off in a weightlifting competition Mar. 12 and 13 against their counterparts from Brien McMahon to help raise funds to find a cure for Rasumussen's Encephalitis. Lifting Grace, as the event is known, is named after Grace Wohlberg, a DHS junior who suffers from the disease. The fundraising competition started six years ago when Grace was diagnosed with the disease. At the time her older brother, Michael, was a captain for the Blue Wave. Over the years the teams have managed to raise nearly $50,000 through donations from the community. For more info: www.rechildrens.org.